One of Houdini's most famous tricks is the UFO, or Floating Card trick. When it's done correctly, the trick makes a playing card appear to float freely out of the deck as the magician waves his hands over it. Once the card is airborne, some magicians will continue to make the card float freely around with no visible strings or wire. It's a basic trick, but it does require careful preparation. Cut a length of magician's wire to about 2 feet. Use magician's wax to attach one end of the magician's wire to the top edge of the back of a card. Attach the other end of the wire to a button on your shirt, belt buckle, or a ring on your finger. The wire needs to hang loosely when the card is in the deck, but pull taut when you apply pressure to the line. Place the card on the bottom of the deck so the edge with the wire attached is facing you. Turn the deck toward your volunteer, so the wax is now facing away from you. Cut the deck in small sections from the top, consistently bringing small numbers of cards into your free hand. When your volunteer says stop, hold up the cards remaining in the other hand to show him the trick card. Place the card back in the deck and turn it so the edge with the wire is on top. 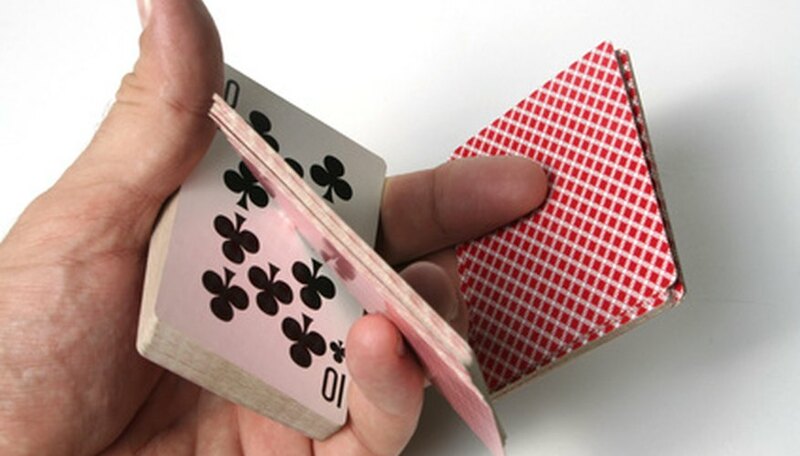 Hold the deck by the edges with a loose grip so you will be able to pull the trick card free. Hold it from the bottom so you do not accidentally break your magician's wire. Wave your free hand slowly over the deck and catch the wire gently between two fingers. Carefully pull up on the string while holding the deck loosely. Always have other tricks prepared in case something goes wrong. Magician's wire and wax are available at almost any magic or hobby shop.